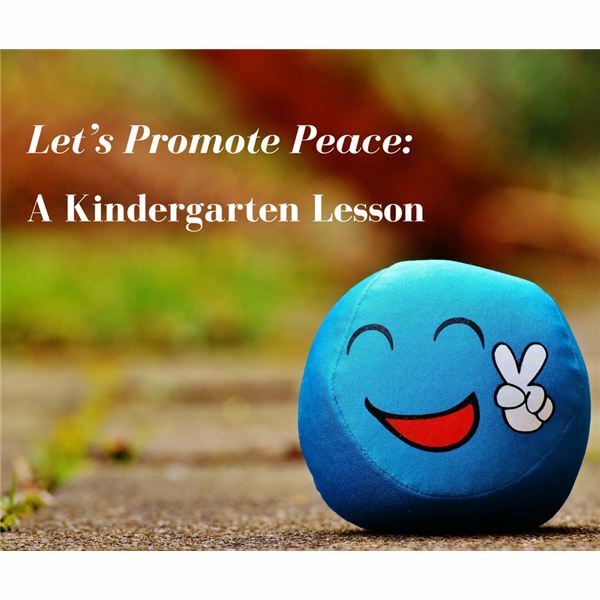 From day one, there are ways to help the students feel safe and connected to their classroom family, thus promoting a peaceful environment. Here are some suggestions. A morning routine is essential. This could include discussing the calendar, the weather, shapes, a morning song and a short chat about any news they may have. These chats help the students to get to know each other, which helps to build a stronger classroom community. Most children feel safer when they know what is going to happen during the school day. Post a schedule (using words or pictures) where it can be easily seen. After lunch, provide a quiet time to gather and prepare for the afternoon. Allow time for students to share a good deed done by one of their classmates. (Sharing with others, an act of kindness, including others in an activity, cooperation). You will hear less tattling and more praising! Take a few minutes at the end of the day to review what was learned during the day and to discuss tomorrow’s activities. Use a “quiet" signal. A common one is to use a raised hand with two fingers extended upward. Post a few simple rules for classroom behavior and make your expectations clear. You will need to revisit the rules from time to time throughout the year. Be consistent in enforcing the rules. Model appropriate behavior at all times for your students. With young children, you will need to guide them through a process to resolve a conflict. Allow each side to verbalize the problem. How did it make you feel? What would you like to see happen to make you feel better? Give time for them to look at each other and communicate their feelings and possible solutions. If appropriate, you may ask them to shake hands or even hug when the solution has been agreed upon. “Peace is a joining, not pulling apart." “It’s a safe place to live. It’s freedom from fear." “So offer a cookie. Walk away from a fight. Comfort a friend through a long, dark night"
Then spread magazines on the tables or floor and instruct the children to cut out pictures of things that show acts of peace. It could be smiling families, children playing, animals curled up together and so on. Move around the room to give them guidance. Remind them that these are old magazines and that we never cut books or magazines without permission. Make a collage of the pictures with a heading “Practice Peace!" and hang it in the hallway or in the classroom. LeBox, Annette. Peace is an Offering. Dial Books for Young Readers, 2015.